Check out our latest application video. In this video, a carbide sample is heated with an Ambrell EASYHEATTM induction heating system. Heating for this application takes 15 seconds. While it could be heated more rapidly with induction, it isn't in order to prevent cracking. The end product is a cutting bit. 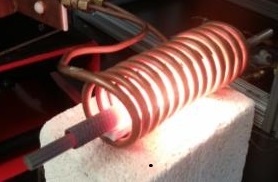 A client was looking to heat a Tungsten rod with a silicon carbide cover to 1200 oC (2192 oF) in 90 seconds. A 4" (102 mm) heat zone was required for this application. Heating needed to take place in a vacuum atmosphere. They turned to THE LAB at Ambrell to design a heating solution for their research process. A client had been using an inexpensive imported induction heating system, but ran into quality issues that resulted in production down time. Consequently, they turned to THE LAB at Ambrell to develop the right solution for their application and enable the installation of a reliable EASYHEATTM induction heating system. 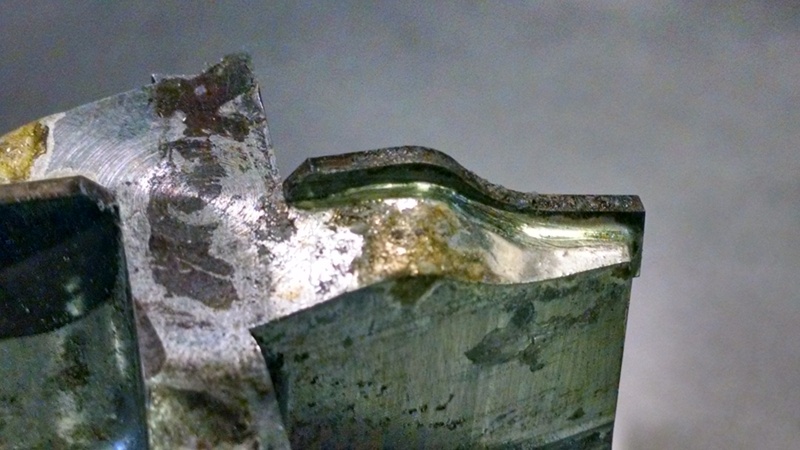 The application involved heating steel cutting bits with diamond-carbide inserts for brazing and de-brazing, and the end products were cutting tools.